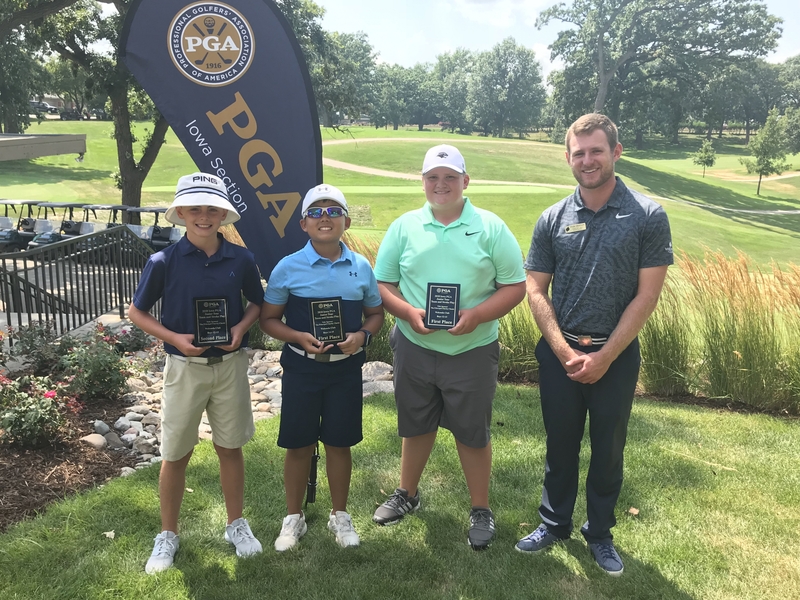 Des Moines, Iowa—The Iowa PGA hosted a Junior Team and Stroke Play event on July 23, 2018 at the Wakonda Club in Des Moines. 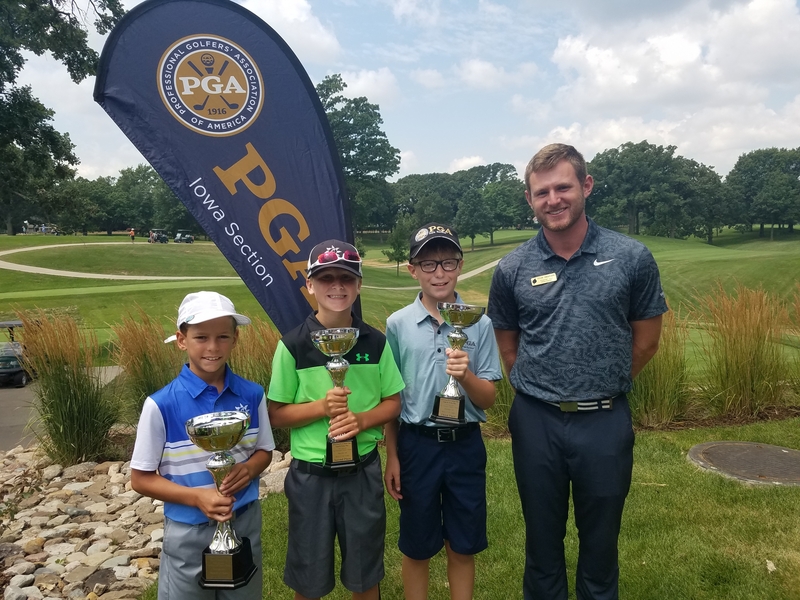 This Ace Point event administer by the Iowa PGA. 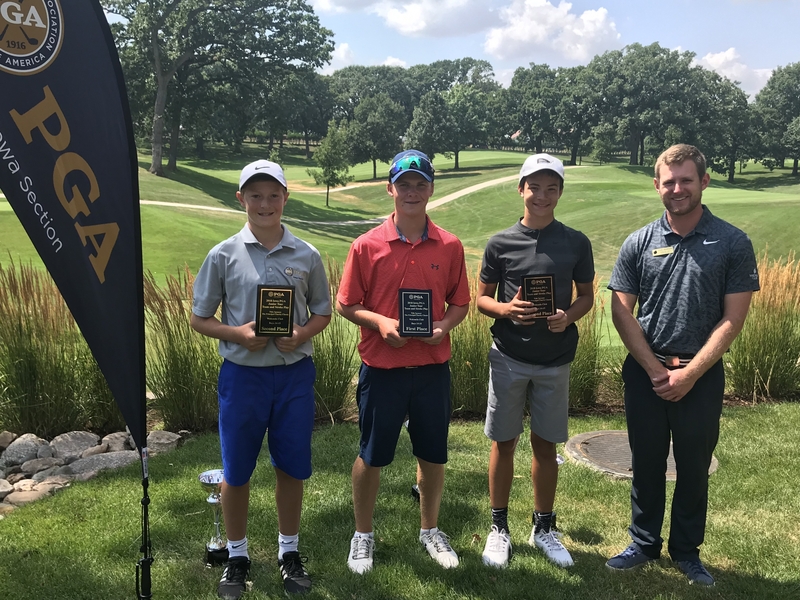 Ben Bermel carded a 1-under-par shot to claim first in the boys 16-18 division. Two strokes behind Bermel was Burke Pitz, shooting a 73. Michael Vicente carded a total of 75 for the round, 3-strokes over par. Matthew Briggs shot 3-over par in the boys 14-15 age division, carding a 75 for the round. Jake Weissenburger was two-strokes back at 77 for the day. John Cahalan claimed third place, shooting 10-over on the day. Shooting an 82 on the day was Evan Smith in the boys 12-13 age division. Jackson Overton was 3-strokes behind Smith for second place. Isaiah Zoske and Charles Allen tied for third, each shooting an 87 through 18. 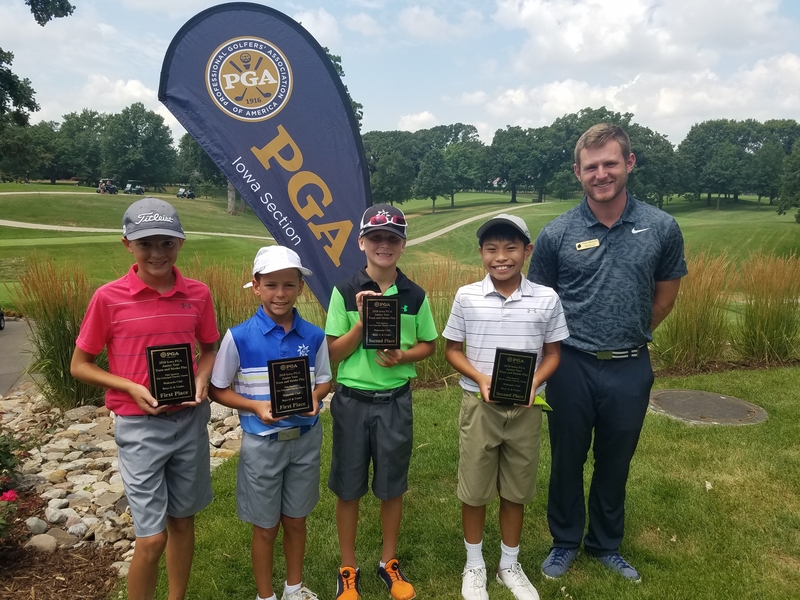 Lucas Laffoon shot 6-over through 9 holes in the boys 11 & under age division. Andrew Johannsen shot a 46, only 3-strokes behind Laffoon. Jacob Chickering and Pranay Monga shot a 48 for the day, 11-over par. Paige Hoffman led the girls 16-18 division, shooting a 77 for the day. Jenna Krogulski was 10-strokes behind Hoffman, shooting 14-over par. Lauren Sease and Molly Carey were each a stroke behind Krogulski, shooting an 88 for the round. Saffire Sayre led a close contest in the girls 14-15 age division. 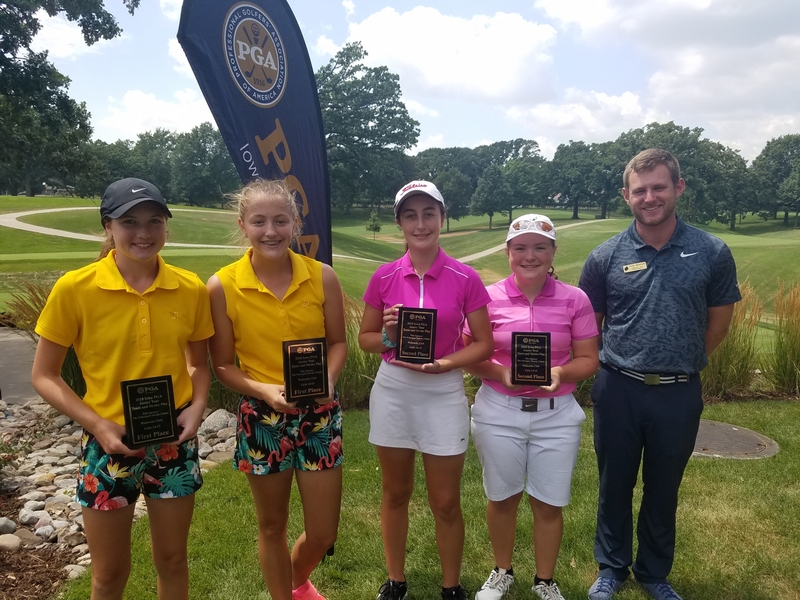 Sayre shot 8-over par for the day to claim first place in the girls 14-15 age division. Kylie Carey was 1-stroke behind Sayre, while Jaci Webb was only 3-strokes behind Sayre. 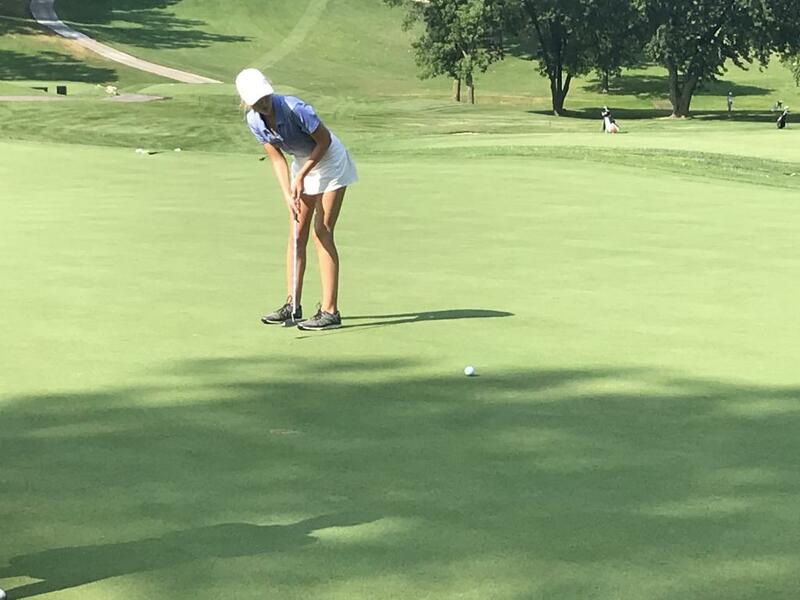 Leading the girls 13 & under age division, Greenlee Smock shot a 45, an 8-over par score through 9. Meghan DeLong was 12-over par, shooting a 49 for the day. Lauren Briggs was close behind DeLong, shooting a 50 for the day. In the boys 16-18 team division, Ben Bermel and Joshua Nichols claimed first place shooting a 68. Caden Jones and Tommy Weissenburger also shot a combined 68 for second place. 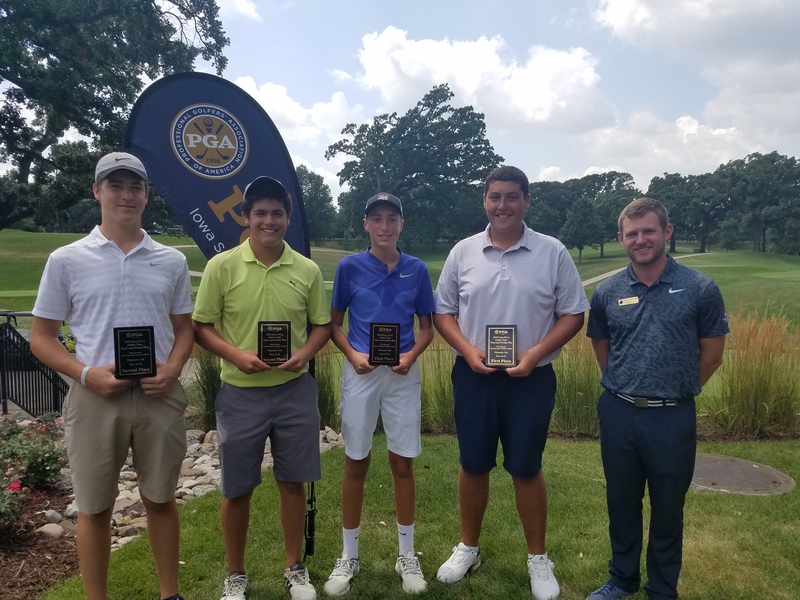 Matthew Briggs and Jack Winkel shot 1-under par to claim the boys 14-15 team division. 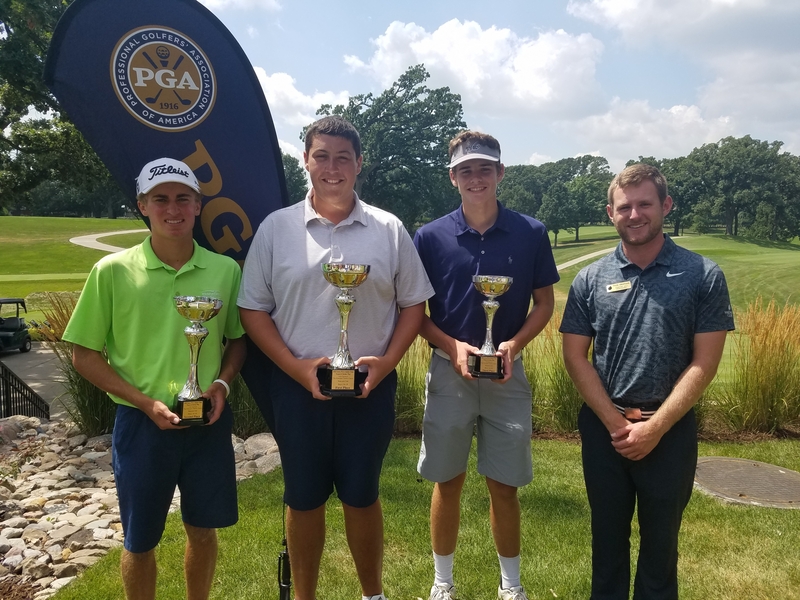 John Cahalan and Jake Weissenburger were sitting 4-strokes behind in second place. 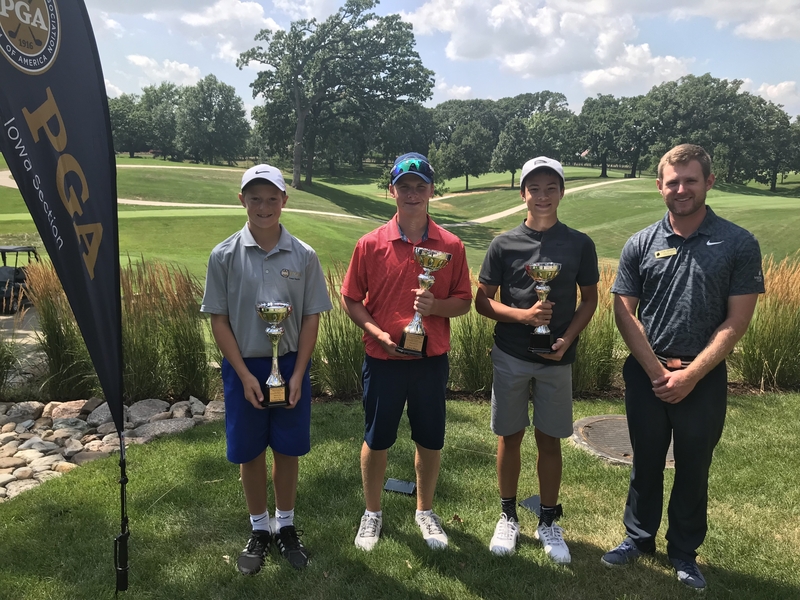 Charles Allen and Owen Howe shot 1-over par for a score of 74 in the boys 12-13 team division. Tony Song and Evan Smith were 6-over par for second in the division. In the boys 11 & under team division, Lucas Laffoon and C.T. Norris led the way, shooting a 5-over par. Andrew Johannsen and Jett Lovanh shot a 43 for the day, only 6-over par. 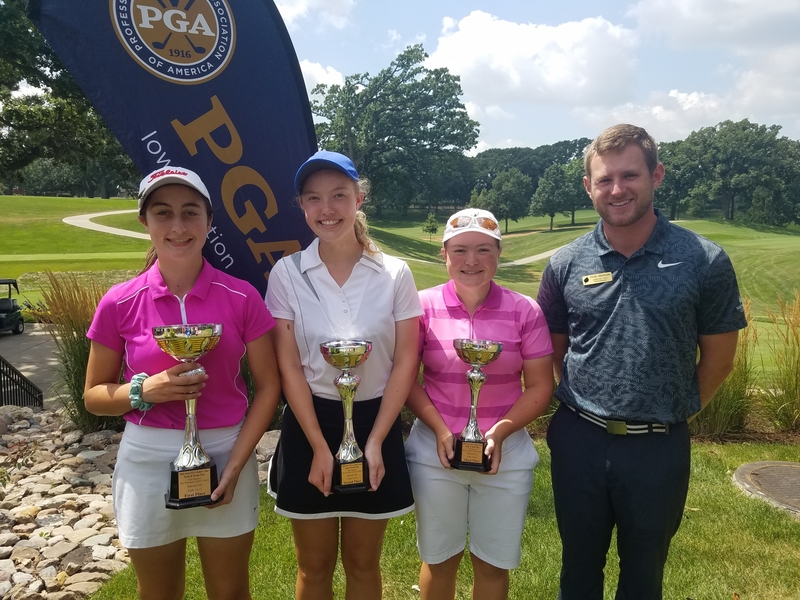 Jenna Krogulski and Paige Hoffman teamed up to shoot a combined 2-over par in the girls 16-18 team division. 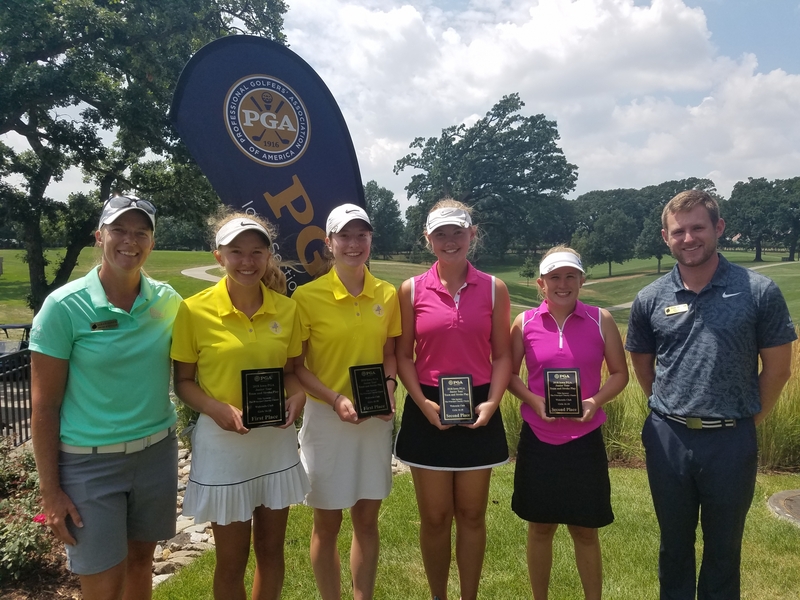 Molly Carey and Delaney Underwood claimed second, shooting a score of 80. 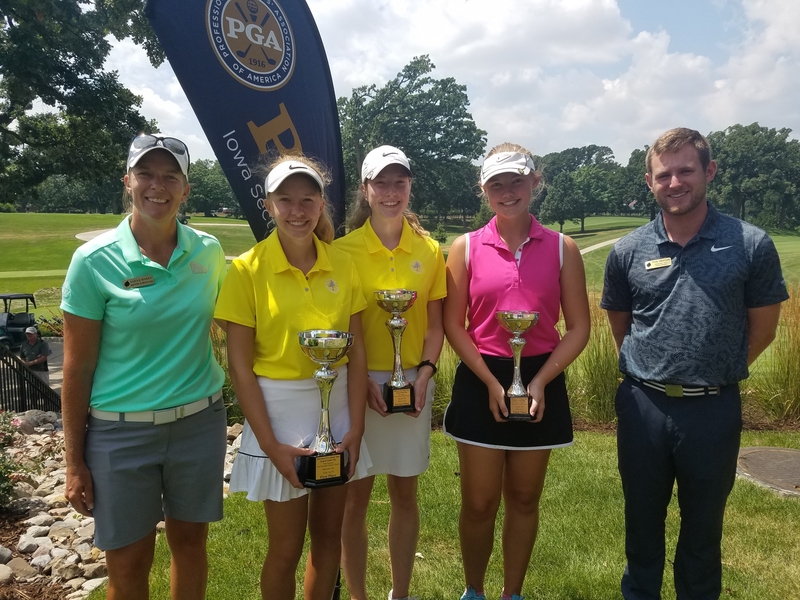 Rylee Heryford and Erika Holmberg shot a 5-over par in the girls 14-15 team division. Jaci Webb and Saffire Sayre were a stroke behind in second, shooting a 78. 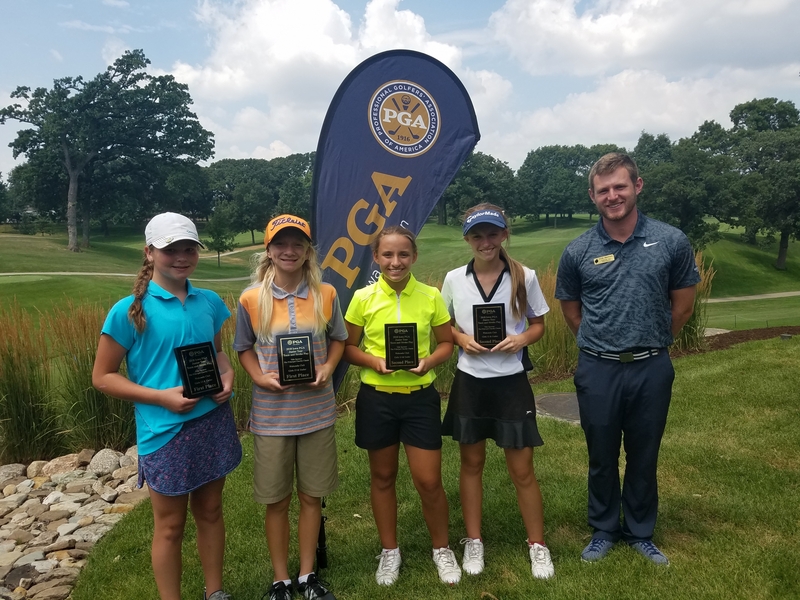 Greenlee Smock and Lauren Briggs shot 6-over par for the day, for a total score of 43 in the girls 13 & under team division. Meghan DeLong and Rebecca DeLong shot a 45, two strokes behind the leaders. 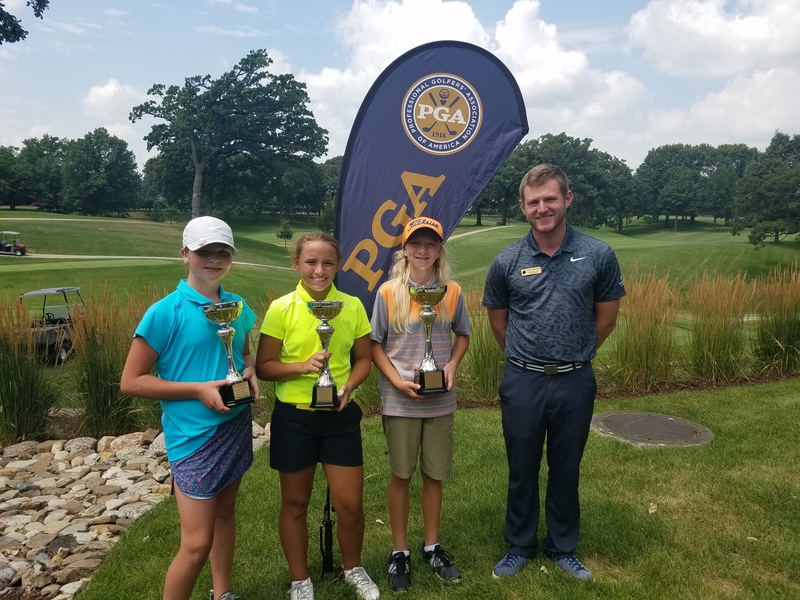 Special thanks to PGA Professionals Aaron Krueger, Grant Feilmann, Sarah Bidney, the membership and the entire staff at Wakonda for their support in hosting. 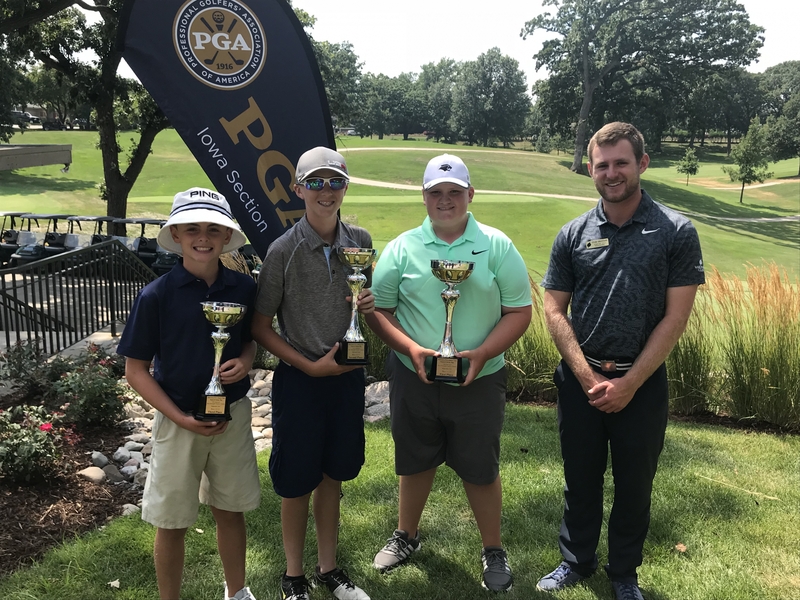 The Iowa PGA would also like to thank The Principal Charity Classic for title sponsoring the Iowa Junior Tour. Special thanks to Bushnell and Bolle as they will be providing contest prize to be given away at all ACE Point Events.